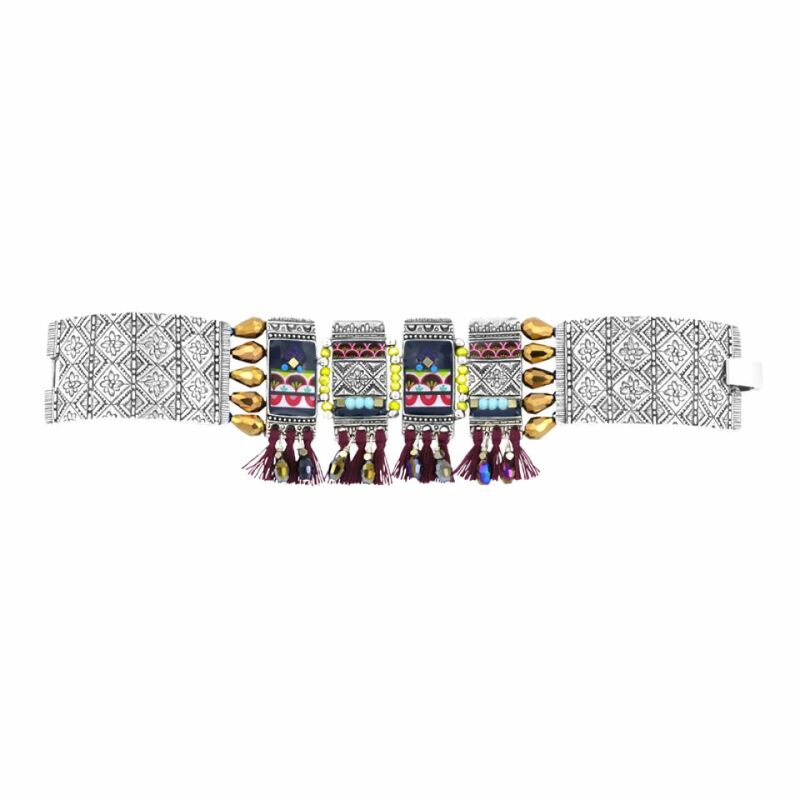 Chic and colorful patchwork for city adventuress. Navy blue resin and burgundy pompoms duo electrified by multicolored pearls. Variation of prints and engraved patterns. 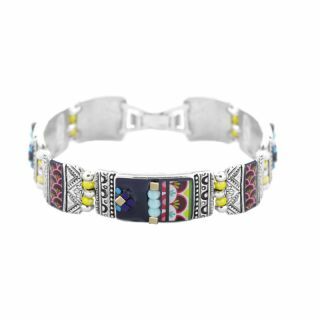 Silver plated metal, hand-painted colored resin, glass beads, rhinestone, printed pattern inclusion in resin, cotton thread. 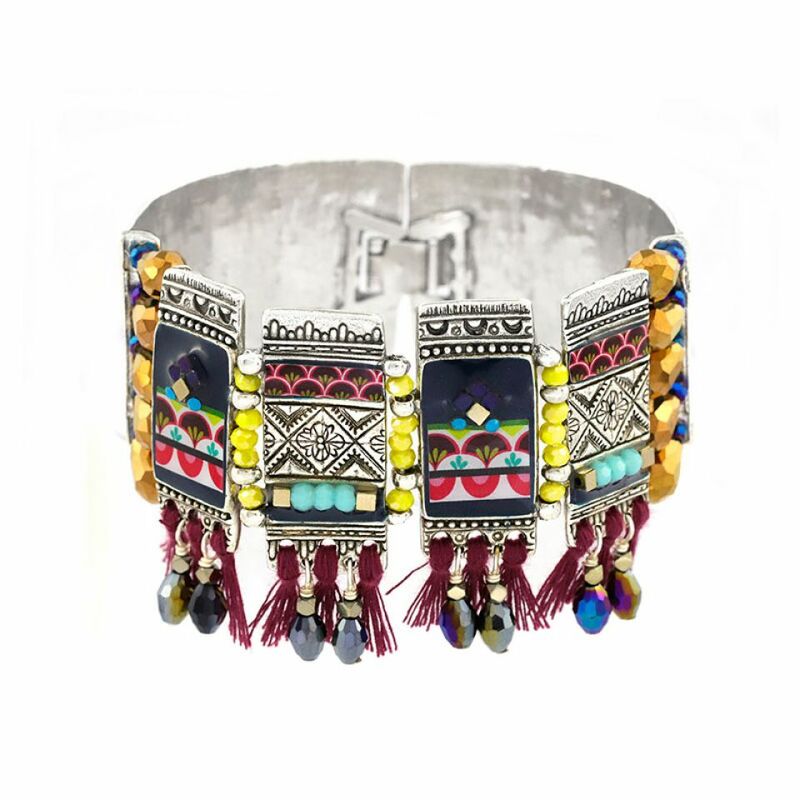 Non-adjustable bracelet. Closure by fold-over clasp. Length, approximately 18cm. Width, approximately 4cm.